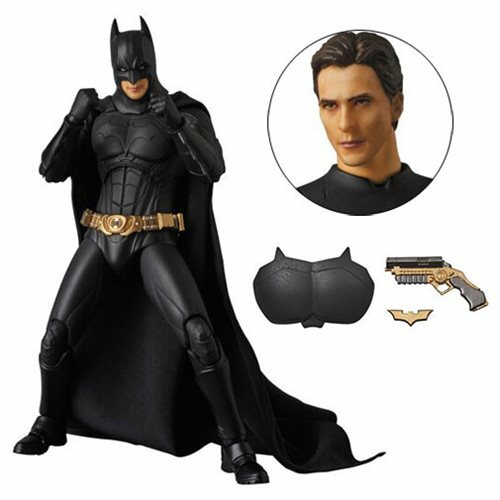 Based on the Batman Begins movie, the Batman Begins Movie Suit MAFEX Action Figure brings the Dark Knight to life! Standing approximately 6-inches tall and boasting superior detail and articulation, accessories include 2x heads, Batarang, grapnel gun, alternate chest piece, and an articulated stand. Ages 15 and up.